Bali Souvenior Shop Popular souvenir shop erlangga in Denpasar. There are store 1 and store 2. However, sotre 2 has more variety and many kind. Inside store is huge and they selling bags, shirts, hand craft so on. 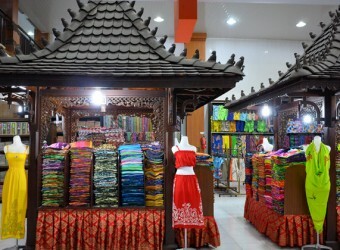 Mostly customer from inside Indonesia country so it is popular from local people. Also there is food court so you can enjoy indonesian food after shopping.